Part 1 of ___ … on some general notes on vasopressors. 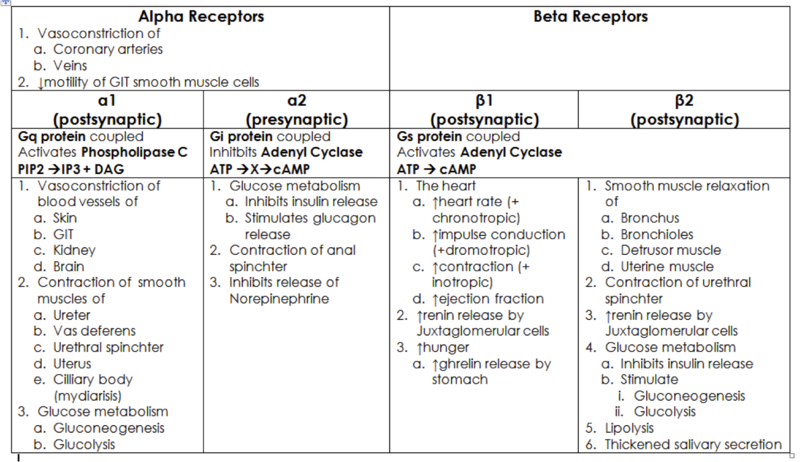 Catecholamine class (epi, levo, dopa, dobutamine, isoproterenol) all metabolized by Catechol-O-methyltransferase (COMT) and MAO. Phenylephrine also metabolized by MAO. *indirect acting sympathomimetics (phenylephrine) greater risk of hypertensive crisis due to reliance on MAO metabolism, direct acting also metabolized by COMT so less risk, also patients taking TCAs. Milrinone and ephedrine both excreted unchanged in urine, while Vaso is metabolized by vasopressinases in liver and kidney. Levosimendan metabolized into active compounds and effects linger for up to 1 week after discontinuing.